Reflections of a Grady Doctor: Tickled Pink. I meet this lovely Grady elder who was dressed head to toe in pink. Pink hat, pink shirt, pink warm-up suit, and even pink socks and sneakers. She was definitely doing the "pink thing." "Hi, I'm Dr. Manning. How are you today?" "I'm blessed and highly favored, baby." I can't resist commenting. "You sure are pretty in pink today!" "You know why, don't you? 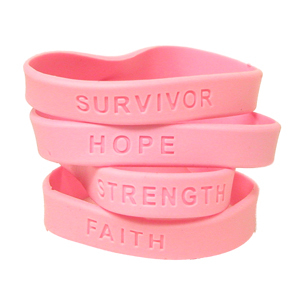 It's the breast cancer month!" "That's right, ma'am. It sure is." "You see my earrings? My pin? They have the pink ribbon." Points these items out. Then, pulls up her sleeve. "My watch is pink, too." "I'm even wearing some pink undies!" She slaps her leg and cackles in this very animated way. Almost like a scripted, blocked, and pre-planned knee slap. But I know this is just her. A content Grady senior, tickled pink to be telling me about her pink britches in honor of "the breast cancer month." "Well! You are just a pink lady today, aren't you?" I smile. She smiles back, but a bigger, better one than mine. I decide to remember that smile for later. "Are you . . . .a breast cancer survivor?" "Nine years and counting, baby. Nine years and counting." She sits up taller. She smooths out her warm-up suit. "Never had nothin' on no mammograms. And then just like that they saw a spot that they thought might be nothin'. But my doctor at Gradys said, 'Let's just be sure.' It was cancer, but I took all my treatments and it's gone. It's all gone going on ten years." "I'm happy that I lived to tell. 'Cawse I have a testimony." I look at her leathery brown face framed with coarse white curls exploding from the beneath her pink cap. I imagine her marching proudly at a breast cancer walk in that very outfit but with a pink boa, too. I see her amongst a throng of other survivors and the people who love them. I allow that last part to resonate and put it on a mental post-it note. I decide that it's good for the soul to hear somebody's testimony. Especially when they lived to tell. "And highly favored, too, baby. Don't forget that part." I smile. She smiles again. Still bigger and better than my smile. I decide to remember that one, too. I love this. Beauty is all about attitude, isn't it? Did I just randomly say "STAT?" Forgive me-- I know how lame it is to say this when you're not at work. . . ha ha ha. . .or even when you are. . . .
Awww. You have me crying and I just applied my makeup! I don't mind, though. My Momma is a breast cancer survivor. 14 years. She's 88 years young. I want to be like her when I'm 88.